Loosen the 3 water pump pulley bolts (2) while holding the water pump pulley hub with a wrench. 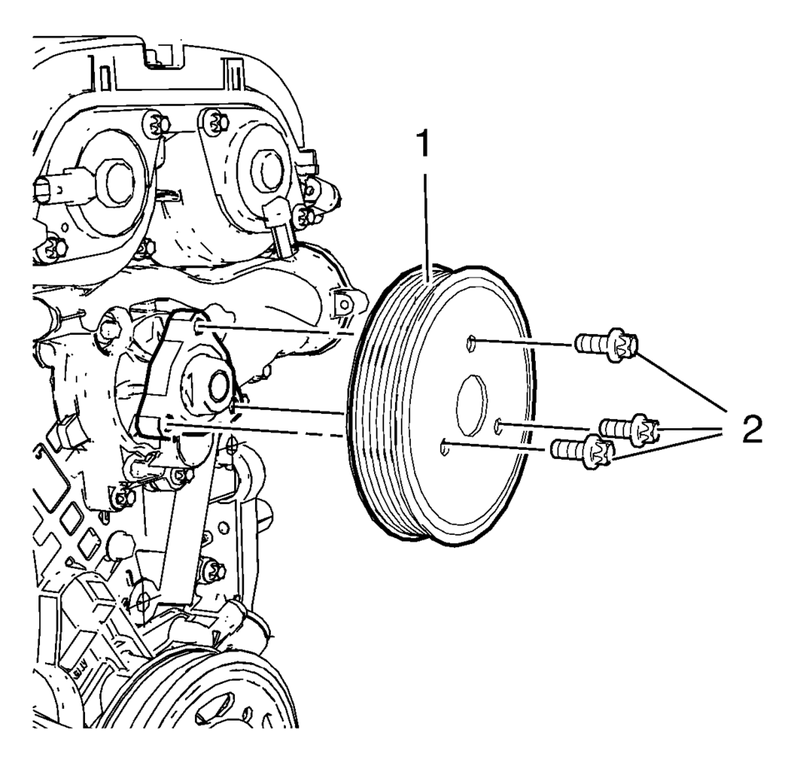 Install the water pump pulley (1). Install the 3 water pump pulley bolts (2). while holding the water pump pulley hub with a wrench.